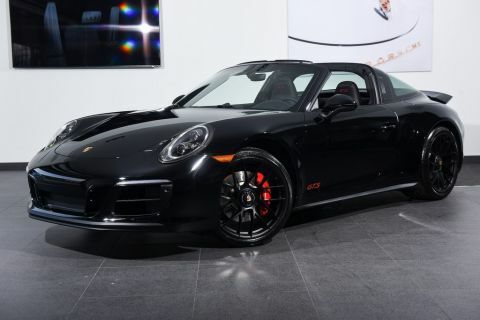 Porsche of South Shore is proud to present this stunning Porsche 911 Turbo S. Finished in Graphite over Black Natural Leather, the 911 Turbo S has been driven very few easy miles. 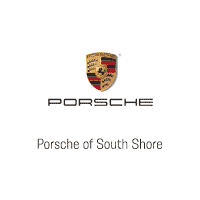 It has been expertly maintained by Authorized Porsche Dealers, and is in excellent condition from top to bottom. The 911 Turbo S is covered by a Certified Porsche Warranty for an additional two years from the time of purchase, with no mileage limitation. - Door-sill guards in stainless steel illuminated. 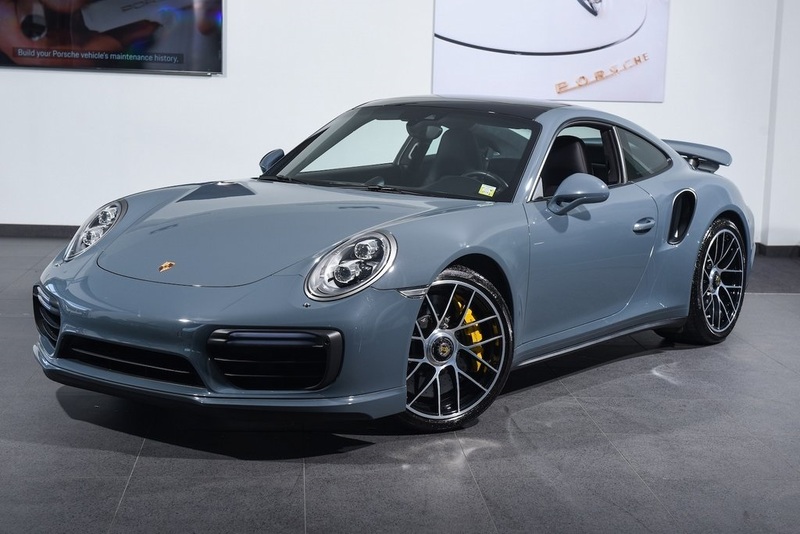 Building upon the already incredible 911 Turbo is the Porsche 911 Turbo S. Featuring revised intake-valve timing, and increased boost pressure, Porsche's venerable flat-six routes its massive power to a sophisticated all-wheel-drive system. 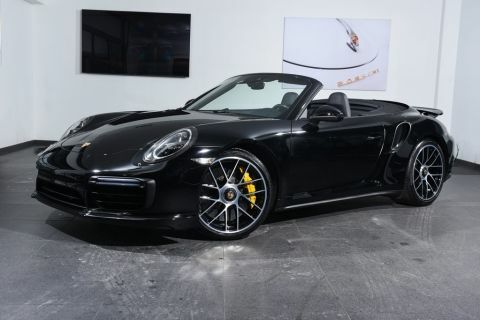 Shifts from Porsche's PDK Transmission are instantaneous, and the 911 Turbo S effortlessly catapults past exotic cars costing several times more! Nearly every performance-enhancing technology known to man is at your control, creating one of the most accomplished sports cars in the world. Reward yourself with this engineering marvel! 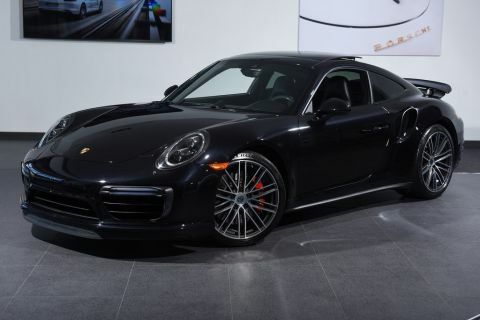 If you are in the market for a 911 Turbo S, please call or email us today.